Process integration is a systematic approach that looks at the unity of the holistic system rather than individual units and streams that make up the process. This technique emphasizes on analyzing the overall picture and system insights first and then delving into the details of equipment, simulation, and other details (Mohan, 2005). The integration using pinch analysis technology helps in better understanding of the interactions in the system and results in sound decisions of the performance. The concept of energy integration is aimed at minimizing the energy demands of the process. 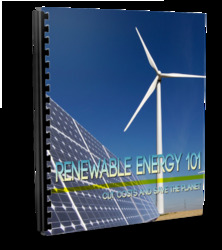 This is a rigorous and structured approach for identifying the capable opportunities for replacing the alternatives, solar and biomass, considering their temperatures and pressures. This technique helps in minimizing fossil fuel consumption. Solar thermal energy can be integrated with the supply system or directly at the process level. The integrated solar plant concept was initially proposed by Luz Solar International as a means of integrating parabolic trough solar plant with modern combined cycle power plants. A plant schematic diagram is shown in Fig. 29.3 (Kelly, 2001). The integration of solar thermal energy can be influenced by several factors as shown in Table 29.1 (Schnitzer et al., 2007). Solar thermal stations could also become an interesting way to reduce the environmental impact of energy generation with reasonably economic conditions (El-Sayed, 2005). 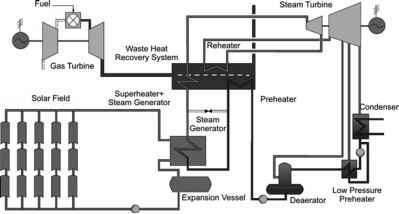 Utilizing biomass as a fuel in utility systems supplies heat demand in units of MW. The average majority of biomass energy is produced from wood and wood wastes (64%) followed by solid waste (24%), agricultural waste (5%), and landfill gases (5%) (Demirbas, 2000). Many processes with steam demands can benefit from biomass boilers. In comparison to commonly used boiler types, biomass boilers have a different construction. Compared to gas boilers with the same capacity they are bigger and their dynamic characteristics are not as good. For these reasons, it is advised to operate these boilers in a stable mode without sudden variations. This is possible, when biomass boiler covers only base demand. 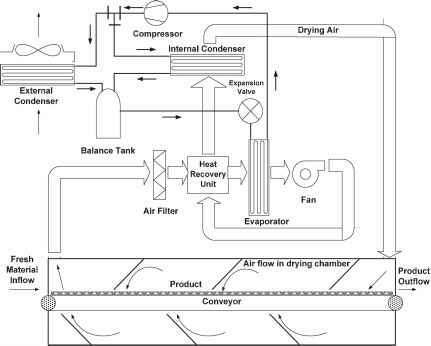 In this case, the boiler is operated in a long-term steady state and produces majority of the overall heat. In MSW production plant, the designed biomass boiler capacity is very important (Urban et al., 2007). Figure 29.4 shows elements of a typical energy system by biomass integration (Schnitzer et al., 2007). Fig. 29.3 Integrated solar plant schematic diagram. Table 29.1 System concept of the integration of solar energy. Source: Schnitzer et al. (2007). Fig. 29.4 Elements of a typical energy system by biomass integration.